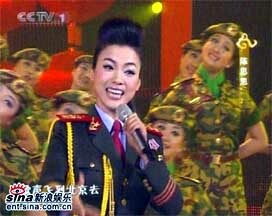 I have not watched the CCTV Spring Festival Gala for many years. I watched it a bit today. Over the years, many people have said that the Spring Festival was not good anymore and it is getting worse every year. The media and Internet have been filled with various critiques of the CCTV Spring Festival Gala before and after the Chinese New Year. Apart from the cultural criticisms of the artistry, format and content of the Spring Festival Gala, it is also possible to conduct a sociological analysis and study of those critiques themselves. It is necessary to consider it from the level of society as a whole to look at the phenomenon of these critiques. After watching the Spring Festival Gala, I felt that this show is too hard to design. This can easily end up as something that displeases everybody. The Spring Festival Gala can be put into the overall context of Chinese society. China is undergoing huge changes and conflicts in its economy, society and people. Therefore, the musings by people about the themes and contents of the Spring Festival Gala also reflect those social changes and developments. The Spring Festival Gala is a cultural legacy from the colletivism and group identity of socialism after China was liberated. 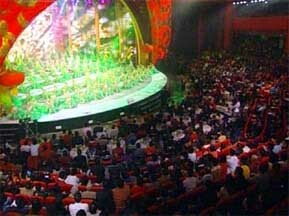 The idealized Spring Festival Gala goes something like this: It is Chinese New Year's Eve and people of all ethnicities and ages sit down all over China and watch this television show at the same time. This is something that all the Chinese people do at the same time. This is something that the Chinese people unite and do together. But following the changes in Chinese society today, this model is increasing more difficult to realize. First of all, China is become an increasingly differentiated, diversified and stratified society. As everybody knows ,first and foremost there is the wealth gap between urban and rural areas and between regions of the country. We all know that the Gini coefficient in China is high and the problem is very serious. Some of us are relatively wealthy and we have moved into a well-off cosmopolitan life and enjoy better materialistic and cultural resources. Other people are relatively poor and can barely feed and clothe themselves. We can image that the former have better materialistic foundations and educational level, and therefore they command more cultural resources. Other people are still staying in the peasant villages and are therefore relatively backwards in this regard. I am not appraising the tastes of the small cultural elite; I am just stating that there is an overall gap between urban and rural dwellers, and between coastal and interior residents. As the income gap increases, the differences in cultural tastes are also increasing. In order for art to generate resonance among people, it must reflect life. If two people live in different environments and faced different challenges, they may not need the same cultural resources. Alternately, we say that works of art that reflect one's life will generate greater resonance. According to the theory of Marxism, art is the superstructure and the various cultural styles of the various classes are determined by their class natures. Then, the farmers, workers, urban petit bourgeousie, the middle-class, the upper-middle class all have different tastes. Perhaps the theme of a work of art reflects the tastes of rural audiences and tell us about their feelings. But the urban dwellers may feel nothing. Alternately, a certain art style is loved by the rural audiences but the urban dwellers might consider it too hick. Similarly, the fashionable ideas and objects in contemporary urban areas may seem too distant to rural residents. In the increasingly differentiated society today, it is impossible to expect that a young university student in a southwestern city, a businessman in a southern coastal city, a state enterprise worker in a northeastern city and a peasant in the interior can sit down to watch the same show and all like it. I personally do not even see any reason for doing so. For more concrete examples, there was an episode about an "Internet romance" on this particular Spring Festival Gala. For the urban youth, this is nothing new. That was already present years ago and it occurs often enough. But for the large rural masses/poor people who have no Internet access, this may be a new concept. This particular episode caused some people to think it was outdated and not reflective of the most current trends. It also caused other people to think that it is fresh and exciting because this new thing is about to enter into their lives. Also, there was a short sketch in this Spring Festival Gala in which advertising slogans were recited; for example, "It's good to be a woman." This was suppoed to reflect the commodization and commercialisation of society. For most urban dwellers, this is a worn-out old tune that could not possibly be worn down any further. For other members of Chinese society, this may be fresh and represents a new trend. This is possibly an unexpected consequence of letting some people and some areas get wealthy first. China developed unevenly and different social groups are experiencing different developmental stages. This is naturally reflected in their cultural tastes. The Spring Festival Gala grew up with the history of the reforms. In the 1980's, the style and content of the artistic works were relatively close to real life. I will make an informal suggestion: Before the reforms, Chinese society was more homogeneous in terms of economics and culture; alternately, people were more similar to each other. At the time, China was leaving behind an old system for a new system. People were confronting the same changes, conflicts and challenges and they have the same confusions, uncertainties, emotions and ideals. In that relatively homogeneous society, it may have been easier to come up with a gala show that everybody liked. Thirty years after the reforms, society is much more differentiated. Different people live different lives and face different opportunities, hardships, challenges and futures. Different social groups have alienations and conflicts with each other. Naturally, it is harder to come up with a gala show that satisfies everybody. Several decades ago, China was a nation with a strong ideological flavor. Everything was politicized. Politics was pervasive in the lives of the people. Praising the leaders and propagandizing the slogans were normal aspects of life. Thirty years of reforms later, this situation has changed. Modern urban dwellers, especially the young people, are becoming more "worldly." On one hand, they have lost interested in the same old set of theories and politics. On the other hand, they are increasingly resistant towards the same old propaganda methods and politicized styles. Thus, ideology and politics are playing increasingly weaker roles in daily life. People now lean towards materialism and consumerism and they are indifferent and cynical towards politics. Such is the reality of China after the reforms open up the markets. The opening with the outside world also unleashed information and increased exchange with foreign countries. The result is that people are gaining wider perspectives, they have more choices and they are beginning to accept different values and concepts. Under these circumstances, the urban youth will probably not be interested in the politicization and traditional propaganda methods (such as the "harmony" theme that appeared throughout the whole show, the hosts representing various social sectors to thank the Party and the government, the leaders visiting the masses and factory production lines, etc). On the contrary, they might feel that these things are hilarious, disgusting, vulgar and backwards. As society developed, materialistic and cultural resources become richer. People have many more choices. They can dine out, assemble, travel, set off firecrackers, stay home or go out to watch movies, play games, cruise pubs, use the Internet and so on. There had been very few choices before. When people had nothing else to do on Chinese New Year's Eve, they watched the Spring Festival Gala. There are more choices now and so the Spring Festival Gala is less competitive. Besides, the Spring Festival Gala is monotonous and uncreative, and people are gradually getting tired of it. If they want to win more of the younger viewers, the Spring Festival Gala needs to innovate. The Spring Festival Gala is a program that is based upon the official language/putonhua. It does not address the needs of those regions which does not primarily use the official language. When southerners cannot understand northeastern speech, they lose interest. In Guangdong, the CCTV Spring Festival Gala never had much impact and it will only continue to decline as people have more choices. In summary, the increasing dissatisfaction with the Spring Festival Gala is due to the increasing complexity of Chinese society. In my opinion, the wealth gap, the urban-rural gap and the social stratification and alienation constitute a structural problem in society. The introduction of modern consumerist cultural lifestyle also changed the ideas and tastes of people. 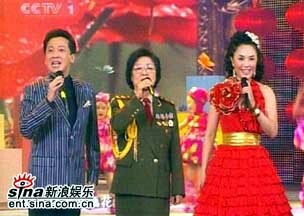 A Spring Festival Gala show that has the function of political propagandization and adheres to the conservative old style will become less popular as a result of the challenges. Under this format, it becomes increasingly difficult to please everybody. This is not something that the program director/producer can solve. 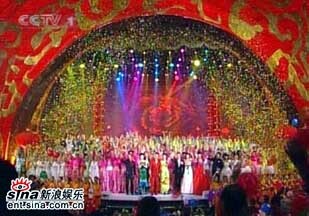 What is so good about having everybody in China watch the Spring Festival Gala on CCTV1? Some people say that this creates an opportunity for the Chinese to get together to do the same thing and watch the same program. This will increase understanding and expand vistas. CCTV's Spring Festival Gala is very capable in representing Chinese society and the show is good for promoting social unity, mutual understanding and harmony. That may be reasonable, but we can no longer compel viewers to watch the Spring Festival Gala. The viewers can switch a channel anytime away from the Spring Festival Gala. This is the era of market economy. This is the era of information. This is the era of increasing individualism. I believe that the entertainment for Chinese New Year's Eve should be commercialized according to market needs. We should embrace a new era in entertainment. There will be different ways (by format, audience, style, content) of celebrating Chinese New Year's Eve and things will be localized (or perhaps decentralized) to satisfy the demands of different social groups and individuals. Let the market decide everything, and use simple demand-supply to allocate the resources. In a modern China which is going through huge changes, the national CCTV1 Spring Festival Gala is probably destined to decline inevitably.